The Kona Crime Prevention Committee recognized Detective Bradley Freitas as “Officer of the Month” for February in a luncheon ceremony Wednesday (February 2) at King Kamehameha’s Kona Beach Hotel. 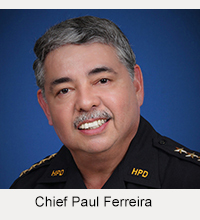 Freitas was honored for his leadership skills as the supervisor of the Special Enforcement Unit, which focuses on recurring problems in the Kona District. 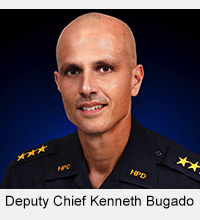 Under Freitas’ leadership, the Special Enforcement Unit identified crime trends and the persons responsible for them by gathering intelligence from a variety of sources.